Announcing the November 2018 sales on the 3rd of this month, Hyundai had revealed that it had received over 40,000 bookings for its new tall boy. Now, Puneet Anand, Sr. General Manager & Group Head, Marketing, Hyundai Motor India, has revealed that Santro orders has touched 45,000 units. The K1 platform-based all-new Hyundai Santro is the brand's first model available with an automated manual transmission. The 2019 Hyundai Santro has lifted the volume of its segment by 20%. “Actually, if you see this mid-compact segment, it used to be around 30,000 (units per month),” Anand told The Economic Times recently. HMIL had said at the launch that it was expecting the Santro as the first car purchase for customers in non-metros while it would be an additional family car to in places like Delhi and Mumbai. It got the estimation of 30% bookings for the AMT variant spot-on before the introduction. Production would have to be ramped up if the demand stays at current levels as markets like South Africa, Latin America and Middle East are to receive the new Santro next year, rebranded 'Atos'. The 2019 Hyundai Santro measures 3,610 mm in length, 1,645 mm in width and 1,560 mm in height. It has a 2,400 mm wheelbase. Two engine options are available: 1.1-litre petrol and 1.1-litre petrol-CNG. The petrol engine produces 69 PS and 10.1 kg.m (99.05 Nm) of torque, and it is married to a 5-speed manual transmission or a 5-speed automated manual transmission. The bi-fuel engine develops 59 PS and 8.6 kg.m (84.34 Nm) of torque. 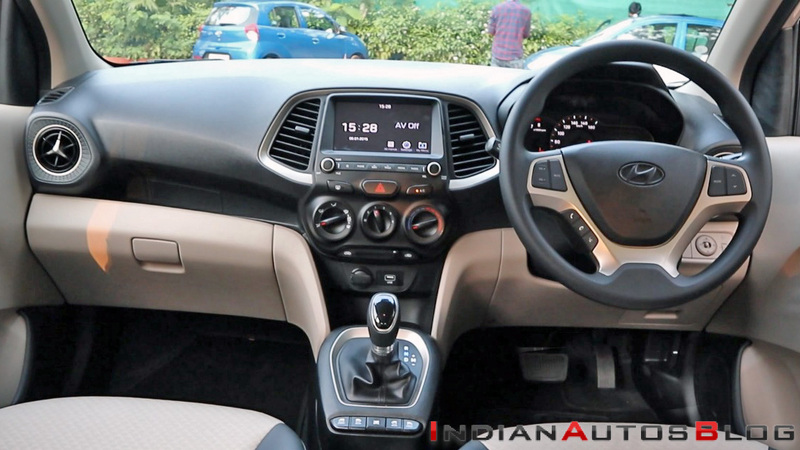 Dual-tone interior colour scheme, 7-inch touchscreen infotainment system with Apple CarPlay, Android Auto and MirrorLink support, multifunction steering wheel, dual-front airbags, ABS with EBD, rear parking sensors, rear parking camera and rear defogger are some of the main features of the 2019 Hyundai Santro. 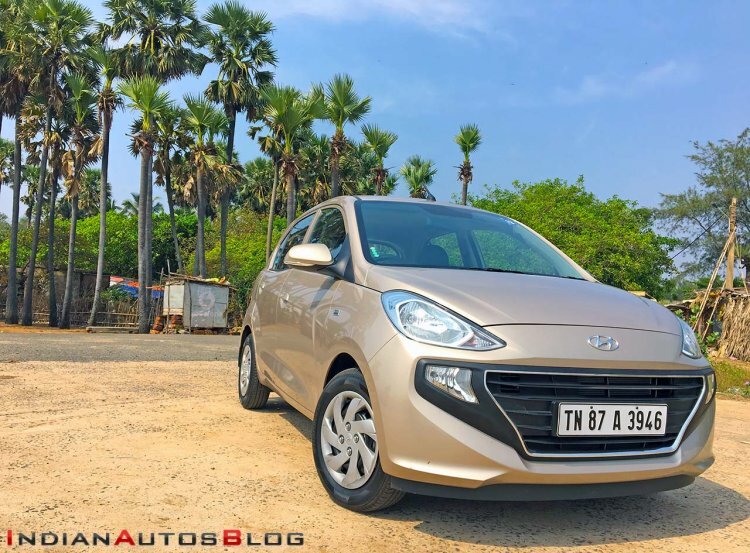 The 2019 Hyundai Santro is available nine different configurations made up of five equipment lines, two engines and two transmissions. The 2019 Hyundai Santro is available in nine different configurations. Prices start at INR 3,89,900 (ex-showroom Delhi) and go up to 5,64,900 (ex-showroom Delhi).